In the name of energy diversification. JSW Energy group plant adds to India "renewable" potential but leaves one of its main Himalayan rivers dry. People cry out the lack of due information and consultation. The Kuther hydel greenfield project is proposed to be developed as a 260 MW run-of-the-river scheme located in the upper reaches of river Ravi. The project is envisaged to harness the head available between villages Kutehr and Kharamukh, both situated along Chamba-Holi road about 70 km and 51 km, respectively, upstream of Chamba. The district, which falls under tribal notified area, is home to many such projects since 1980s when NHPC’s first plant, Baira Suil HEP was constructed. Ravi river has a total catchment area of 5,451 sq. km and its potential capacity has been assessed 2,294 MW. Out of them, 1,038.5 MW has been commissioned so far (early 2015) through four commissioned power projects, i.e. Baira suil (198 MW), Kuther, Chamera-I (540 MW), Chamera-II (300 MW). The Kuther HEP was first allotted by the government through competitive bidding in 2006 to a joint venture belonging to D.S. Constructions, but the company later refused some of the conditions and was not able to comply with financial conditions . The DSC-Himal Company, a joint venture between construction and engineering firm DS Constructions Ltd and Himal Hydro and General Construction Ltd of Nepal, had challenged the decision of the state to award the Kuther power project to the second highest bidder JSW Energy Ltd in 2007. The decision was also upheld by Supreme Court and the High Court of Himachal Pradesh. According to The Financial Express, "JV said that its allotment was cancelled just to favour JSW Energy and the entire process was vitiated in the eyes of the law and was liable to be quashed". JSW Energy group depends heavily on imported coal from short-term market to fuel its projects as it does not have captive coal mines. Therefore, the company desperately seek diversification into hydropower to reduce its exposure to fossil fuel fluctuating prices. In 2014, the company reported a 96 per cent jump in net profit at Rs 318.63 crores for the second quarter that ended on September 30, 2014, mainly due to increased power generation at its plants . 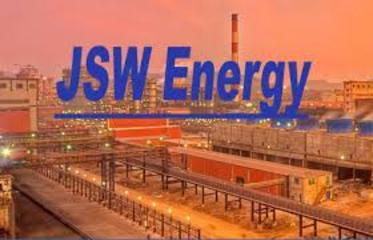 JSW Energy has diversified interests in power, mining, industrial gases, port facilities, aluminium, cement and information technology. In the energy sector, it announced an operational capacity of 3,140 MW. According to the initial public offer document for Kuther HEP in 2008, the cost for the Kuther project should have been Rs 1,440 crores by April 2014, but the delay in approval increased the project cost and extended the schedule. Early 2013 the project was granted the forest clearances for starting construction, which should continue until 2017. The concession period for the project was 40 years from the date of the project achieves commercial operation. Under the pre-implementation agreement, JSWEL is required to provide Himachal Pradesh government with an annual royalty in the form of free power equal to 12 per cent of the deliverable energy for the first 12 years from the commercial operations date, further 18 per cent for the next 18 years and 30 per cent for the remaining ten years. JSW Energy also submitted the project for CDM benefits. As per these documents, "The project cost will be met by the project proponents, project developers and in part by debt finance from banks and financial firms". They argue that it will "reduce the dependence on fossil fuel of the NEWNE (new Integrated Northern, Eastern, Western and North Eastern) grid which is dominated by emission intensive coal based thermal power plants." However, there have been objections submitted to the UNFCCC by the environmental collective Himdhara, which notes that in both documents provided by the Central Energy Authority and the construction company JSW, "there is no mention of the techno-economic clearance given by the Central Electricity Authority being conditional to the project obtaining CDM benefits. The project activity is being projected as being financially viable as per the information in both the documents. Hence, there is no finance related barrier preventing the implementation of the proposed project activity without the CDM benefits. As such, the project cannot be considered as additional and does not deserve to be given any CDM benefits." Himdhara also raises concerns regarding environmental impacts of the project on the river ecology, reminding what was already noted by the Environmental Appraisal Committee (EAC), that there was “no free flow of the Ravi river between upstream and downstream of Kuther HEP. The EAC in 2011 initially suggested to lower the Full Reservoir Level, shorten the Tail Water Level and shift the power house 1km upstream, in order to have at least one km free flowing river. Due to technicalities, the company responded that this was not possible and the EAC gave up and recommended the project for Environment Clearance despite the ecological disaster that this absence of free flowing stretch of the river would result in. The Shukla report had already warned that "There are 4 HEPs sanctioned along this stretch – starting from top these are: Bajoli-Holi (at clearance stage), Kuther (at clearance stage), Chamera III (under execution) and Chamera II (commissioned). When all these projects are commissioned then there shall be only 500 m of open river left between Bajoli-Holi and Kuther, 500 m. between Kuther and Chamera III and 2 Kms. between Chamera III and Chamera II. In other words, in this entire 70 Kms. stretch, only 3 Kms. of the river shall flow in its original bed and 67 Kms. shall disappear underground. This cannot be anything but an unmitigated disaster" . The study has recommended a minimum project to project distance of 5 Kms. to be maintained till an independent study conducted by experts determines such distance and that cumulative impact assessment to be conducted; Himdhara repeatedly raised that the Environment Clearance by the Ministry of Environment and Forests to Kuther HEP has been accorded without a carrying capacity study or basin level cumulative impact assessment having been done. Other important environmental impacts to be seriously considered are the seismicity of the region, the muck disposal in the river bed, the pollution and disturbance by the blasting activity on local horticulture and agriculture, groundwater depletion due to tunnels and the diversion of forest land at the expenses of the local pastoralist Gaddi tribe, among others. Himdhara also questioned the modalities and timings by which public consultations have been carried out. The activists have raised that Public Consultation is a mandatory process under the Environment Clearance procedure in Indian law and that its objective is to inform the local public about the environmental impacts of a project and obtain its responses on the documented and perceived impacts. The Public Consultation meeting for the Kuther HEP was called and held in May, when the majority of the local Gaddi shepherds had not come back from the grasslands in the lower valleys and thus could not participate. Project Details The diversion barrage on River Ravi shall be located 4 km d/s of village Holi and is accessible through existing Chamba-Holi road. An under-ground power house of size 85.5 m. x 18.5 m. x 42.0 m. shall be provided on the left bank of Ravi River near village Kharamukh to install and operate three units with cumulative generation capacity of 260 MW (although in the PDD submitted to UNFCCC the proponents declare capacity of 240MW). A circular tail race tunnel of 6.0 m diameter and 296.4 m long with bed slopes 1:71.6 will discharge the water back to River Ravi near village Kharamukh. Overall land requirement of the project is 83.085 ha, out of which 72.747 ha is forest land and the balance 10.338 ha is private land . The project shall submerge 11.345 ha of land comprising forest land and private land. Why? Explain briefly. Local consultations have been carried out during a time of the year where local Gaddi shepherds and other groups were not there; for their livelihood, in fact, they move to lower grasslands during the winter months while others migrate to the Kangra valley to escape the cold and be employed in some other activity. The lack of recognition of local conditions, culture, tradition and ecology is a clear socio-environmental injustice.